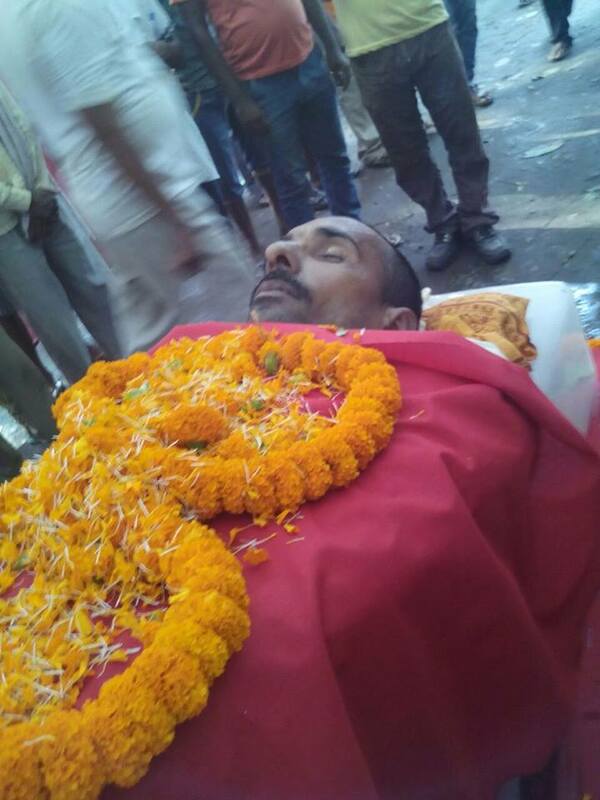 Comrade Satish Yadav, popular Party leader from Bhojpur, has been murdered. At 6 pm on 20 August while returning from a Jandawedari sabha in Badgaon (Agiao Vidhan Sabha constituency) he was ambushed and killed by local BJP leader, President of PACS and Ranveer Sena henchman Rinku Singh and his gang. The rising political assertion of the poor has increased frustration and disquiet in feudal forces just before the Bihar elections. Behind all its tall claims and rhetoric of development the BJP along with its Mahagathbandhan (Grand Alliance) leaders is out to stop the increasing mobilization the poor, dalits, farmers, and working sections of society at any cost and are once again training their guns on CPI(ML) leaders in their frustration. Only a few months ago, Comrade Upadhyaya Yadav, a popular peasant leader in Jehanabad district, was seriously injured after being shot at by the same feudal criminal forces. 35-year old Satish Yadav was a member of the Party’s Agiao block committee and had played an important role in the people’s struggle against the Ranveer Sena. This murder has been committed at a time when a strong agitation is on for the arrest of Ranveer Sena commanders who have been exposed through their own admission on camera in the Cobrapost sting. This incident is proof that the morale of feudal forces has been boosted by Narendra Modi’s meeting in Ara. Present on the dais with Modi at the meeting were BJP leaders Sushil Modi and CP Thakur, who stand exposed by the Cobrapost sting as the protectors of the Ranveer Sena. Eyewitnesses say that the killing was done with the connivance of Ajeemabad thana in-charge Shyamdev Singh. When Satish Yadav was returning from the sabha, the police followed on the same road with a gap of few minutes, went into the village and almost immediately news came of his murder. Popular people’s leaders are being regularly killed with the connivance of the BJP and Nitish Kumar’s police. The news of Com. Satish’s killing left the people stunned and a wave of grief spread through the entire district. His final journey took place on 22 August, and it was an unprecedented event. It began at the Ara Party office where people paid floral tributes to the beloved departed leader. Leaders who paid tribute to Com. Satish included PB member Swadesh Bhattacharya, Bihar State Secretary Kunal, PB member Amar, CC member Nand Kishore Prasad, Bhojpur district secretary Jawahar Lal Nehru, Sudama Prasad, Raju Yadav, Manoj Manzil and others. The last voyage then began. From Ara to Ajeemabad, hundreds of motorcyclists led the way, a convoy of cars followed, and people were lined on both sides of the road to catch a last glimpse of their beloved leader. People from outside the ambit of the Party also took part in the condolence meeting whose struggles had recently been led by Com. Satish. Tearful eyes brimming with anger and grief bade farewell on the banks of the Son River to the beloved leader with slogans of “Com. Satish amar rahe, Shaheed tere armanon ko manzil tak pahunchaenge”. The CPI(ML) Bihar State committee called for a Bhojpur bandh on 21 August to protest this killing. This a matter of shame for the Bihar government that far from arresting the killers of the poor, the series of attacks on and killing of the poor who are demanding justice has begun afresh. The Bhojpur bandh got an overwhelming response from the people of the district. On 22 August Statewide protests were organized across Bihar. Comrade Satish Yadav fell prey to a murderous feudal-criminal assault at the young age of 35. He was very popular due to his initiatives on various people’s issues. This is the reason a veritable sea of people thronged to his last voyage and tears flowed freely from the eyes of the poor, dalits, farmers and women. Com. Satish was born in Kamariya village of Agiaon block in a middle peasant family. His father Com. Judge Yadav was also very popular among peasantry as a CPI(ML) leader and in 1990 he fought the Assembly election from the Barhhara seat where he secured 25,000 votes. From childhood Com. Satish Yadav realised the importance of political assertion for the poor and became an integral part of their struggles. The historic struggle against Baga math by the peasants and agrarian workers for the land in that region made a strong impression on the young Satish, when he decided to dedicate himself to the people’s fight for liberation. He became a member of the CPI(ML) in 1995. That was the phase when the bloodthirsty Ranveer Sena was spreading terror in Bhojpur and massacre after massacre was being perpetrated. Com. Satish came to the forefront of the fight against the Ranveer Sena and fought several historic battles as part of the Party’s propaganda squad. His capabilities soon made him a popular leader within the Party as well as with the people. After the decline of the Ranveer Sena phenomenon, he led many struggles on basic issues of workers and peasants, against crime, and for developmental issues of the area. His many initiatives concerning the poor as well as middle peasantry became subject of popular discussions and inspiration among common masses. Last year when the paddy crop in Ajeemabad was withering due to lack of irrigation, Com. Satish led a 4-day road block agitation by farmers for water to be released into the canal. Under pressure from the agitation the canal from Nonaur to Ajeemabad was cleaned and water came to the fields. The administration also had to send a work-plan for the Dedhua pump canal project, a long standing demand of the region. Com. Satish emerged as a popular leader among the peasants. He carried out a historic struggle for the procurement of paddy crop in Agiao and forced the administration to purchase 30,000 quintals of paddy from sharecroppers and small farmers. The killer Rinku Singh as President of the Badgaon panchayat PACS, faced defeat at the hands of the militant peasant movement led by Com. Satish for the purchase of paddy. Even now, Rs 8 lakhs remains unpaid to the farmers as arrears, for the payment of which Com. Satish was incessantly fighting. By killing Com. Satish the BJP has snatched away a beloved young leader from the peasants. This ghastly incident has exposed the anti-farmer character of the BJP and its protégé the Ranveer Sena. Com. Satish was active in raising all developmental issues. And with his increasing popularity, frightened feudal forces in connivance with the local administration and police had falsely implicated him in a number of false cases. A case was filed against him in the Pawana agitation for electricity. He was also charged with a case against him in the Narayanpur agitation against murder of a father-son duo by feudal criminals. He carried out strong agitations on the issue of electricity in Narayanpur, Akauna, pawana, Madanpur and other villages, after which the mahadalit tolas saw electricity first time in their life. He also successfully fought the struggles of the sand-mining workers who were losing their livelihood because of the illegal sand mining through JCB machines by dominant forces in Ajeemabad river banks, resulting in the victory of the sand workers. He led struggles for the inclusion of the poor in the BPL lists of Agiao panchayat, the corruption of PDS dealers, and for availability of ration under PDS. From building schools and roads to every people’s issue was actively raised and fought under his leadership. He successfully led the agitation for reinstatement of teachers in the school at Poswa. In killing him, the BJP led goons have killed a leader who was constantly working for the development of the region. Comrade Satish had been incarcerated in jail as a political prisoner charged with false cases. But even in jail, Comrade Satish did not lose sight of the struggle. He was among those political prisoners who organised prisoners inside Ara jail to collect funds for a Bhagat Singh bust to be installed inside the jail. Comrade Satish’s life will remain an inspiring reminder of the two extremes of Bihar’s social and political life – one of brutal violence and oppression and the other of brave resistance by comrades like Satish. The future of Bihar certainly belongs to the Bhagat Singhs of Bihar like Satish. 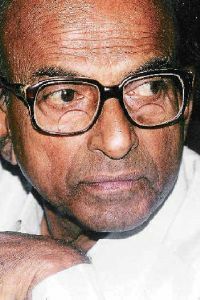 AISA expresses deep condolences at the passing away of veteran CPI leader and a pioneer of rationalist movement in Maharashtra Com. Govind Pansare. Com. Pansare was in a critical state since last 16 Feb, when two unknown assailants fired at him and his wife in front of their house in Kolhapur district, when the two were returning home after their daily morning walk from Shivaji University in Kolhapur. Com. Pansare was hit by bullets on his neck and another went brushing his hand, his wife Uma suffered a single bullet injury. Com. Pansare succumbed to the injury on Friday night (20 Feb), due to bleeding in lungs. Com. 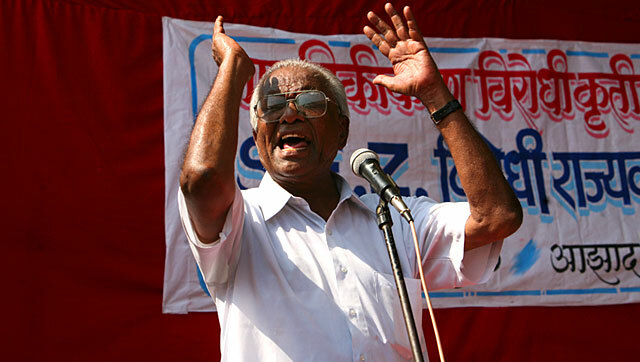 Pansare, was a highly respected political figure in Maharashtra, a committed communist who took on the right wing forces all through. In 1984, he wrote a popular book called Shivaji Kon Hota (Who was Shivaji) on Chatrapati Shivaji where he forcefully argued against the communal misuse of Shivaji by the saffron brigade. The book has been translated into many languages including Kannad, Urdu, Gujrati, English and Hindi languages. He was a close associate of rationalist Narendra Dabholkar, who too was killed almost in a similar manner by assailants in 2013. Following Dabholkar’s gruesome murder, Com. Pansare had stepped up pressure on the government for the passage of the Anti-Superstition Bill. Com. Pansare has been associated with various social movements of farm laborers, domestic helps, auto-rickshaw union, milk producers, slums and others. Ever since the Modi government came to power in May last year, he relentlessly campaigned against the communal outfits. He spoke forcefully against the saffron brigade’s two-pronged strategy of using Gandhi’s name and, at the same time, glorifying Nathuram Godse. It is a common knowledge to the people of Kolhapur how some of the saffron outfits have been disrupting his programs for over past six months on various issues. Some days before he was shot dead, he was threatened and abused for speaking against the glorification of Nathuram Godse at a gathering. Recently, he was leading an anti-toll agitation in Kolhapur. In past three years, there have been a spate of deadly attacks on the social activists and intellectuals in Maharashtra. Apart from the gruesome killing of Dr. Dabholkar, RTI activist Satish Shetty was murdered in Pune for exposing land grab. The murderers of Dabholkar are still ‘absconding’ and there is no progress in CBI investigation in Shetty’s case! Given the character of Maharashtra’s political dispensation, it is anybody’s guess whether there will be any justice for Com. Pansare’s either. Democratic forces must unite for ensuring justice for Com. Pansare and all other cases of targeted political killing. Com. Pansare’s murder must once again steel the resolve of all democracy loving people to rise up against and fight the political mafiadom and communal hate with all our might. 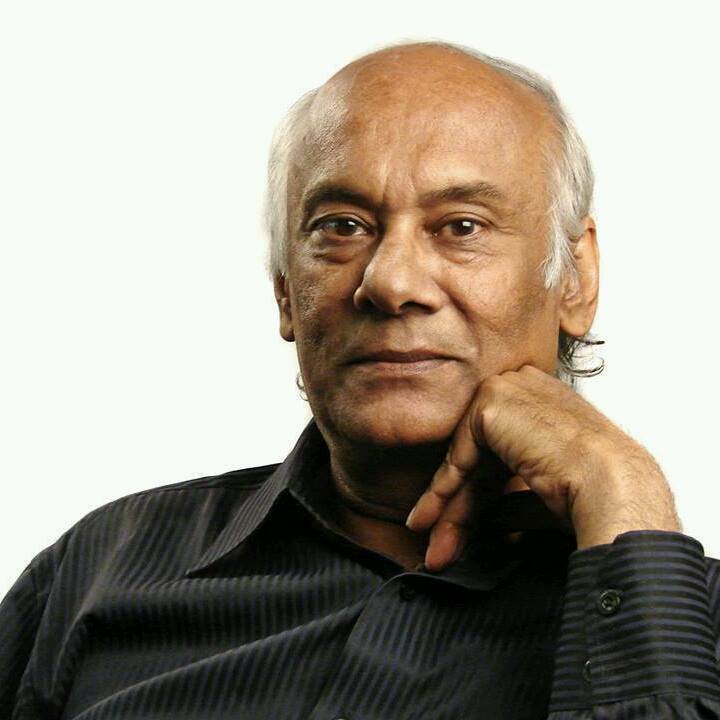 Activist and lawyer Mukul Sinha succumbed to lung cancer in Ahmedabad on 12 May 2014. He was 63. A trade union activist, Sinha also fought many landmark battles for civil liberties and justice – many of them in the heart of Narendra Modi’s Gujarat, valiantly keeping alive the hope of justice for victims of communal pogroms, fake encounters and custodial murders. As a young researcher in a university in Ahmedabad, Mukul Sinha became a trade union organiser when 133 persons were laid off from the university in 1979. Throughout the 1980s, he, along with his wife and lifelong comrade Nirjhari, organised many labour struggles. He acquired a law degree to be better equipped to take up such struggles. He and Nirjhari formed the civil rights organization Jan Sangharsh Manch, which did sterling work in the struggle for justice for the victims of the 2002 pogrom. Manoj Mitta, in his book The Fiction of Fact Finding: Modi and Godhra, recounts how in proceedings before the Banerjee Committee, Sinha representing the Jan Sangharsh Manch, sought evidence of the Gujarat carnage: “The upshot was that the mobile phone evidence of the Gujarat carnage became officially public. This enabled lawyers, activists and victims to cite the data…while pressing for action against influential persons such as (former Gujarat minister) Maya Kodnani, (former Vishwa Hindu Parishad leader) Jaydeep Patel, and senior police officers in carnage cases”. Mukul Sinha played an immensely courageous part in the legal struggle to expose the truth of the fake encounters in Gujarat, involving Sadiq Jamal, Ishrat Jahan, Sohrabuddin Sheikh and Tulsi Prajapati. Mukul Sinha was among the founder members of the New Socialist Movement (NSM), a political party. With exit polls declaring Modi as India’s impending PM, Sangh supporters are taunting Left and democratic forces, advising them to flee or accept defeat. Comrade Mukul fought so-called ‘lost causes’ in Gujarat, challenging Modi’s authoritarian regime: as a result of those battles, many of Modi’s top cops are in jail, and the battles for justice continue to be fought. Mukul SInha was not afraid of Modi as CM – and democratic citizens and fighters for democracy are not afraid of Modi even if he becomes PM. And regardless of whether Modi becomes PM or not, regardless of whether we get a BJP Government or not, we know that Governments will not defend democracy and fight for the rights of workers, minorities, women, activists. It will always be the Mukul SInhas of the world who are the true life and soul of our democracy. The likes of Mukul Sinha do not die – they live on in the struggles they inspired and in the courage and perseverance of other activists. In a world where the parties of power – and even parties that claim to represent common people – rely on the cult of the individual, it is worth recalling what Zahir Janmohamad says about Mukul Sinha: “Sinha was also mistrustful of the term leader because his whole life was dedicated to finding new voices and empowering them. During the many times I visited Sinha, I met some of Gujarat’s most respected judges, journalists, and activists. But just as often, I also met bus drivers, railway workers, and labourers, each of whom Mukul was training. This was perhaps his finest quality—he taught others and amplified their voices, even if it meant muting his own.” Mukul Sinha’s legacy will live on in those bus drivers, railway workers and labourers, as well as young lawyers and activists. AISA says adieu to one of the greatest modern painters in the world, Maqbool Fida Husain (17 Sep 1915—9 June 2011). Husain’s painting achieved a distinctive style that combined deep roots in Indian tradition with modern artistic expression. Hussein was born in Pandharpur of Maharashtra. In his initial days he used to paint cinema hoardings in Mumbai. He joined the leftist Progressive Artists’ Group in 1947. His film Through a Painters Eye (1967) won the Golden Bear at the Berlin Film Festival. He was nominated for Rajya Sabha In 1986 and awarded Padma Vibushan in 1991. 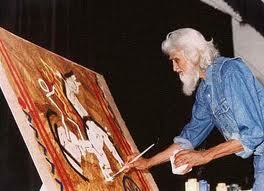 Husain has made Indian art stand tall in the world. Yet, it is a matter of enduring shame and sorrow that Husain met with the most vicious communal attacks and persecution in the very country which he loved and to which he brought such credit. Hindu fundamentalist groups like Bajrang Dal and VHP vandalised his painting exhibitions, harassed him by slapping multiple obscenity cases against him (cases that were decisively dismissed and held to be harassment by the Courts) and issued death threats against him. Husain was singled out for this persecution because he was Muslim – his love for his land and his right to paint on subjects of Indian tradition was questioned because of his religious identity. More shameful was the fact that the ‘secular’ Government of India did little to protect the rights of this Indian citizen and great artist, thereby forcing Husain into exile in his last days. Bahadur Shah Zafar’s poetry expressed the deep sorrow of enforced separation from his beloved land – an exile ordained by the colonial rulers. Husain, like Bahadur Shah Zafar, took his last breath without being able to return home – an agony inflicted by the Sanghi terrorists and left unchallenged by the Congress Government. His beloved country failed to protect his artistic freedom and his rights. Adieu to Husain, the greatest ambassador of Indian Modern Art! Red Salute to Comrade Rajesh! With a heavy heart, we have to convey the tragic news of the untimely death of Comrade Rajesh Ranjan, an activist of AISA and CPI(ML), who passed away of a sudden cardiac arrest on the morning of 26 October 2010. Rajesh joined the AISA as a student of BA Korean in JNU. Throughout his student days in JNU, he was actively involved in the revival of AISA in JNU – he was an AISA office bearer as well as the general secretary of the AISA JNU unit in 2007-08. He also contested JNUSU elections as a Councillor candidate. 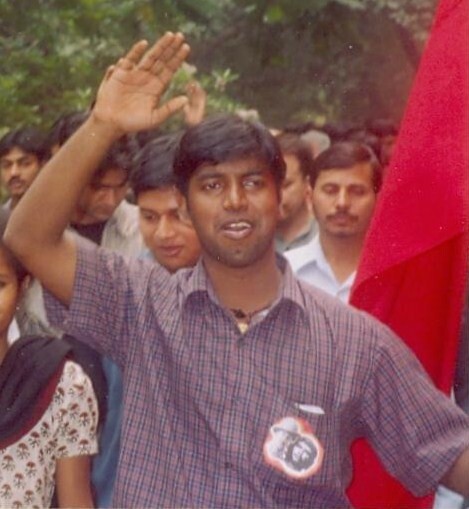 Rajesh was actively involved in the student movement in JNU. He was rusticated by the JNU administration in 2007 for participating in the movement for minimum wages and workers’ rights in JNU. In fact, he was one of the first students in JNU who established a close rapport with workers in the campus, and got to know of the large-scale violations in workers’ rights in JNU. Students as well as mess workers in Mahi hostel (where he was a resident for many years) will remember the role Rajesh played in raising their issues. Rajesh was also part of the group of students who got involved in teaching and taking classes for the children of the construction workers in our campus. Always an activist who was most serious and committed towards revolutionary politics, he remained active even after his student days as an activist of the CPI(ML). He was part of the AISA Headquarters unit in Delhi, and was also a member of CPI(ML)’s and AISA’s publications team and the website unit, and was also involved in the publication work of AIPWA’s Women’s Voice and AICCTU’s Shramik Solidarity. Comrades could always count on the solid, dependable, hard-working Rajesh at all hours of day and night. He would also render all kinds of help in organising a variety of people’s protests and movements. His cheerful and simple nature easily won the affection of all the friends and comrades with whom he worked. There is no measure to the grief of his family (including his parents and sisters), loved ones, as well his many friends and comrades. We are all yet to come to terms with his shocking and sudden loss. We bid him adieu with tears in our eyes and our hearts full. 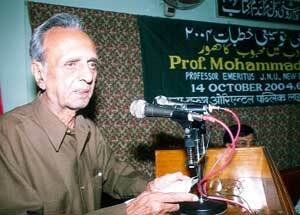 AISA expresses its deep condolences over the demise of Prof. Mohammad Hasan on the night of 24th April at the age of 84. Prof. Hasan had not been keeping well for several months, and passed away in hospital, where he was undergoing treatment. We stand by his bereaved family members in this hour of grief. An eminent Urdu critic and playwright, Prof. Hasan was made Prof Emeritus in the Centre of Indian Languages after he retired from JNU. Despite his ill health, he was always accessible to the teachers and students at all moments of crisis. In July 2008, he was invited to deliver the first Prem Chand memorial lecture in CIL. And in October 2009, he was honored for his immense contribution to literature on the occasion of the second foundation day of CIL. Prof. Hasan authored and edited nearly 75 books in Urdu and English. His significant contributions include books on Ghalib and Iqbal, as well as on the sociology of literature and the history of Hindi literature in Urdu. He also wrote several well-acclaimed plays and novels in Urdu. He was an integral part of the left and progressive literary movement, and was the editor of the Urdu literary journal -’Asri Adab’. In his death, the literary community has lost a powerful voice of secularism and peoples’ struggle. On 23 March, Kanu Sanyal, one of the senior founding leaders of the CPI(ML) movement and architect of Naxalbari uprising of 1967, met a tragic and painful end. Kanu Sanyal was a key organizer of the Naxalbari movement, and it was he who made the first public announcement of the formation of CPI(ML) at the historic mass meeting in Kolkata on May 1, 1969. He was jailed for several years for his involvement in the movement. His political opinions underwent a change after the massive crackdown by the State and the subsequent setback suffered by the movement. He went on to denounce the very formation of the CPI(ML) as well as leaders like Charu Majumdar. Onwards from the late 70s, he launched several groups on the lines of organizing committees of communist revolutionaries in an attempt to unite various groups. Eventually he also launched a new CPI(ML). He remained active till the end of his years in the Darjeeling district, especially in struggles of tea garden workers against closure and hunger deaths. He lived a very simple life and never gave up political activism. Red Salute to the Legendary Leader of Naxalbari Uprising of 1967!